Hi Authentique Fans!!! Are you ready to share some love with the new "Sweetheart" Collection from Authentique! 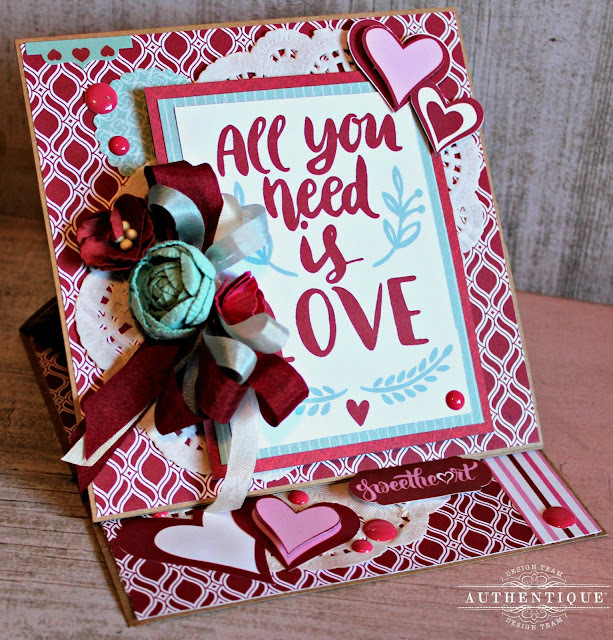 It is the perfect collection to make your Valentine Cards, Tags or maybe even some Anniversary or Birthday projects. 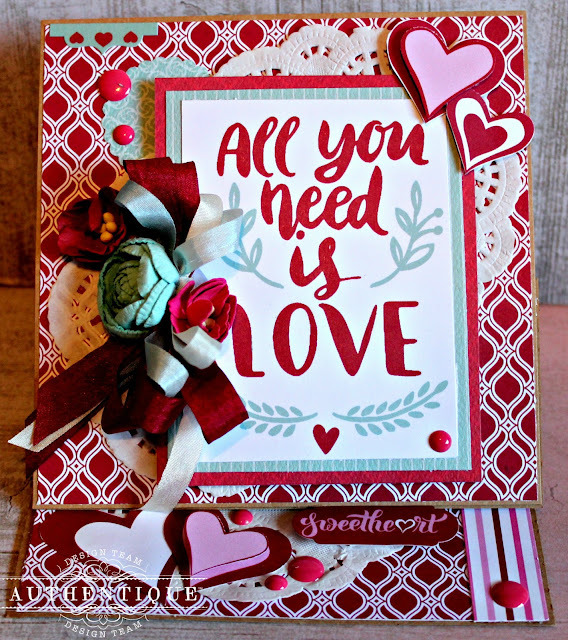 Today though....I am going to share how to create a simple easel card. Thank you for creating this beautiful card. I really appreciate the simplicity of tutorial. I already started makeing mine and I will be sure to share as soon as it is done! Thank You!